A great balance between control and focus when struck in the center, and colourful overtones on the edge. 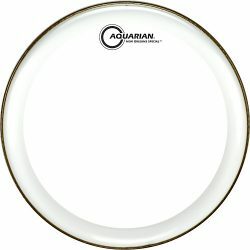 The Evans Power Center Clear is a versatile drumhead. 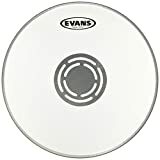 The Evans Power Center Clear is made with a single ply of 10mil or 12mil* clear film, with a 5mil center control dot on the top of the drumhead (the “Power Center”). 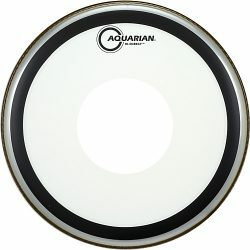 The Power Center’s control dot adds a little more focus and attack when this drumhead is struck in the center. Overall, this is a versatile head that can be used across a huge range of music styles. 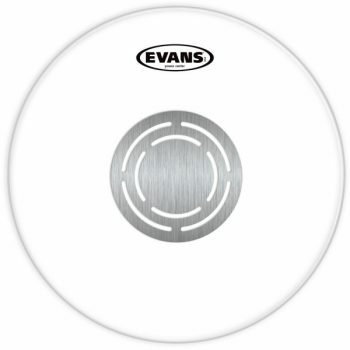 The Evans Power Center Clear has an overall bright to balanced sound. 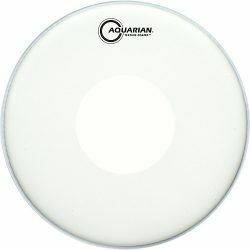 This drumhead can produce a very good attack with a nice projection, which is great for medium or higher volume drumming. 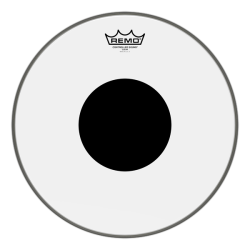 The Power Center helps to reduce sustain and overtones when this drumhead is hit in the center, adding a little bit of control to the sound. 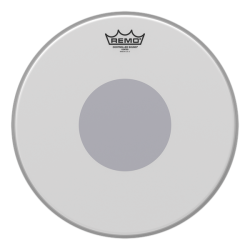 While the Power Center gives some focus, the overall tone is still fairly open… The design allows this drumhead to resonate well. 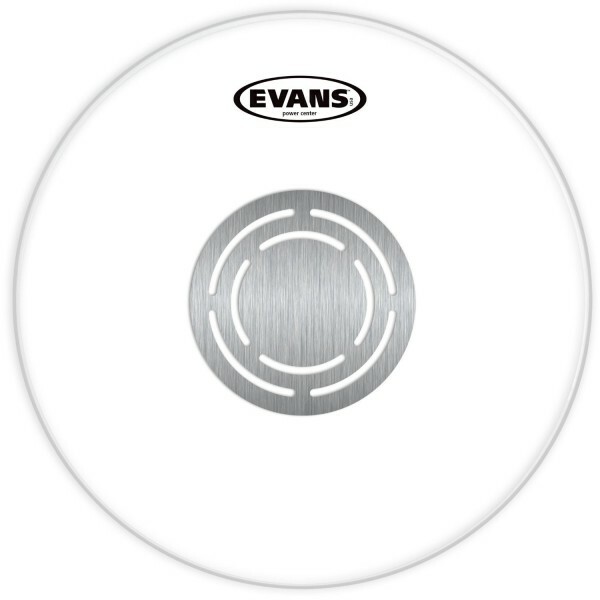 When struck towards the edge, the Evans Power Center Clear will give a wider range of overtones. Compared to the Coated Evans Power Center, the Clear Power Center is slightly brighter with a greater attack. 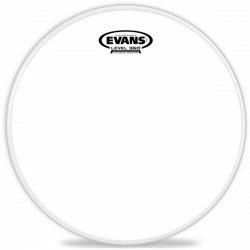 While the control dot reduces this drumhead’s sensitivity a little, the 10mil single ply means that the Evans Power Center stays responsive to lighter touches… Ghost notes and subtle hits come through nicely. 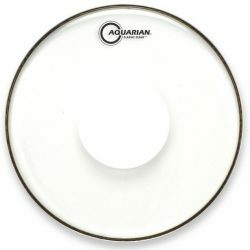 This a versatile drumhead that can be used across a wide range of musical styles, and from low to higher volumes. 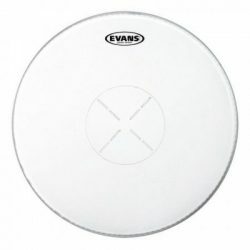 The Evans Power Center’s control dot also adds some extra durability, which allows you to hit a little harder when needed to get a bigger drum sound. Again, this makes the Evans Power Center a versatile head. 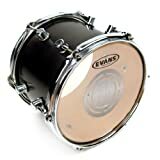 If you’re looking for versatility, a little bit of focus, and a durable yet sensitive drumhead, the Evans Power Center Clear is a great choice. 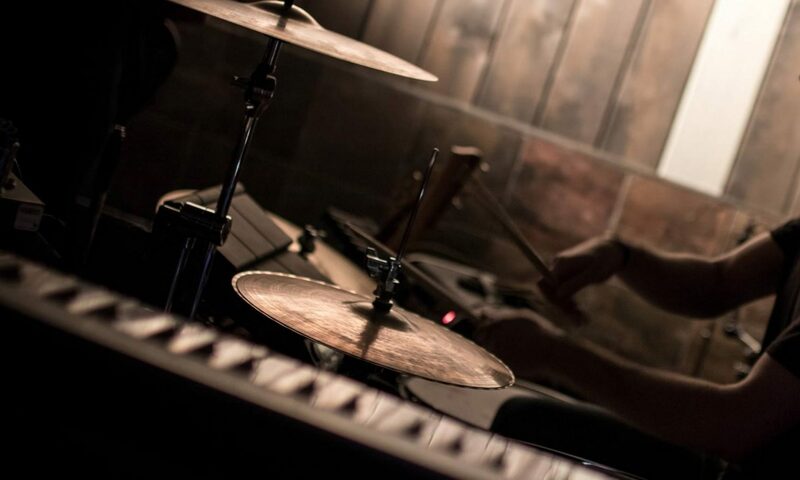 The Power Center keeps overtones in check, without choking the drumhead. Leave it open to get a fuller tone, or add extra dampening if you need a tighter sound. Note: The control dot is on the top of this drumhead – if you’re planning on using brushes, get the Coated Power Center Reverse Dot instead. The smooth surface of the Evans Power Center Clear is not responsive to brushes, and the top control dot will get in the way. * Note: For 6″ to 12″ models, this drumhead is 10mil thick. 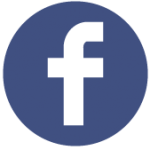 For 13″ to 18″ versions, it is 12mil thick.